Practical working tool, agile and easy to handle thanks to its smallsize and low weight. Special steel blade hardened carefully sharpened.Spring steel. 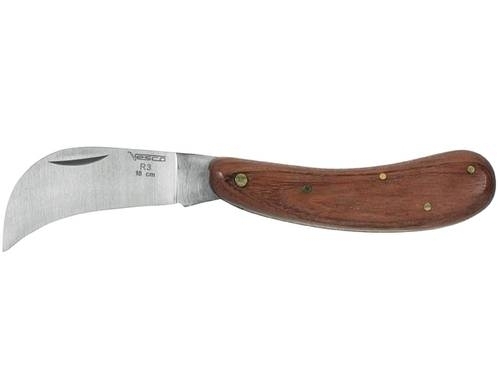 Wooden handle with rosewood grips internal and brassrivets. Available in two lengths.